Halloween is upon us...time to have a spooky good time! 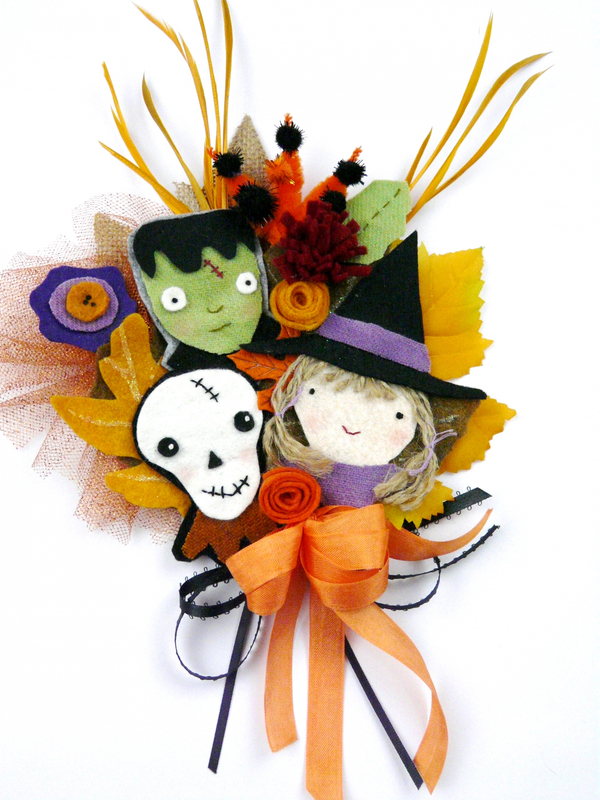 This is a printed/mailed pattern of: Halloween Party- Corsage, ornaments and wreath pattern- #386. This is a sewing (minimal) and gluing pattern. This fun pattern has all the elements to make your own big corsage for a party or an evening out. They look terrific on your coat or blouse. You can make them big & splashy or more demure. 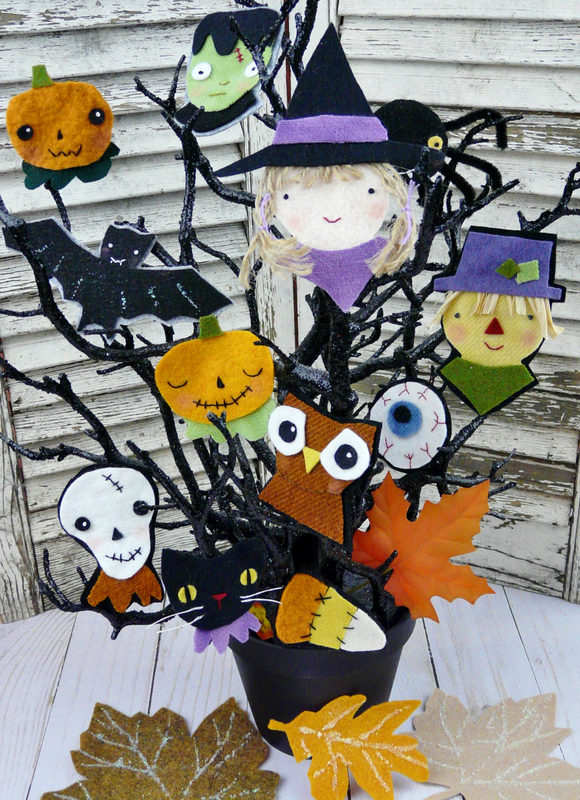 These same wool & felt designs can be made into the cutest wreath or ornaments for a tree! They can be kitchen magnets or gift toppers as well. 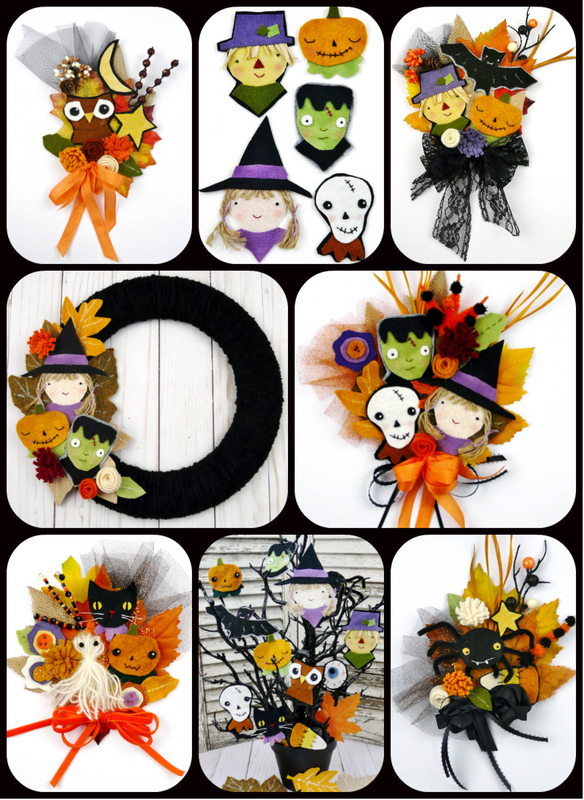 Designs included: Witch, Frankenstein, pumpkins, skull, ghost, cat, owl, leaves, bat, spider, scarecrow, flowers, candy corn, eyeball & much more! 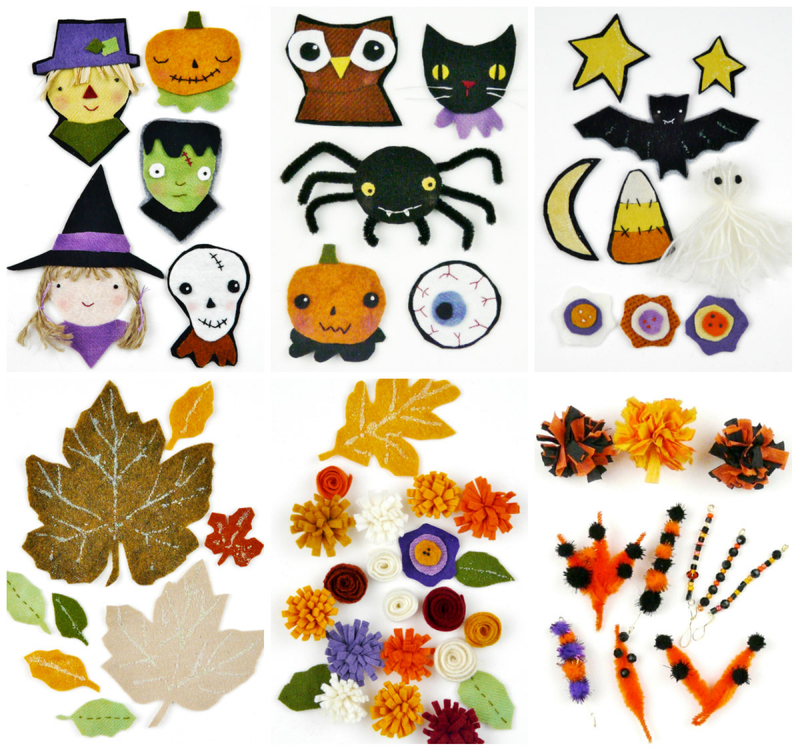 (the last photo show all the designs and embellishments you can make with this pattern). 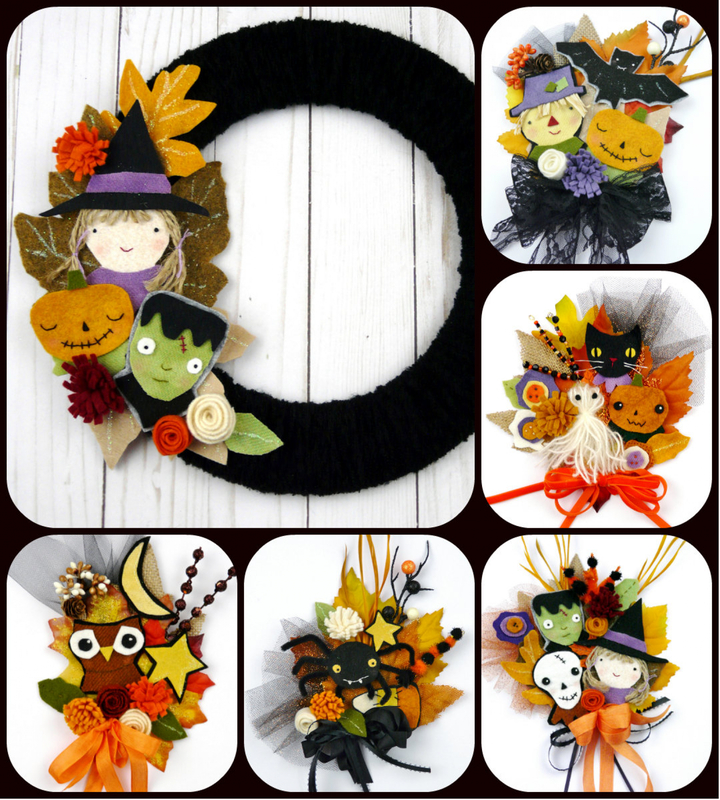 These are easy and kids would love to make them too. This is a BIG pattern!! There are lots of instructions, detailed pattern pieces, and lots of photos!